The incident occurred on Tuesday last week at about 12pm. Sources said the woman woke up saying: "You want to kill me, you want to kill me." A number of people who had gathered to witness the woman's "dead" body being removed from a room at the hotel reportedly fled from the scene. Some are said to have fallen while others tripped over each other in fear of the 'resurrected' woman. "It was like a movie. People were running away in different directions. It was a scary incident because we were all convinced that she had died because she was just cold. Miracles surely do happen," said a source. According to the source, police officers who attended the scene seemed moved by the woman's rise from the dead but kept their cool and tried to calm her while she accused them of trying to kill her. "They had no choice. Surely it was going to be something else to see them also running away. It's their job and they had to remain clam and ascertain what was really happening." After the woman had regained composure, the police officers are said to have left the hotel with an 'empty' coffin. The woman's unidentified partner reportedly sneaked out of the hotel moments after the cops had left while she was taken home by a colleague. Sources identified her as MaNdlo and was said to be a 'new patron' at the hotel. When our news crew visited the hotel this week, she was said to be away. "No one really knows her well because she was just new. We are hoping that she will be back within the course of the week," said a source. The hotel's manager Raymond Nariti said he did not know what really happened. 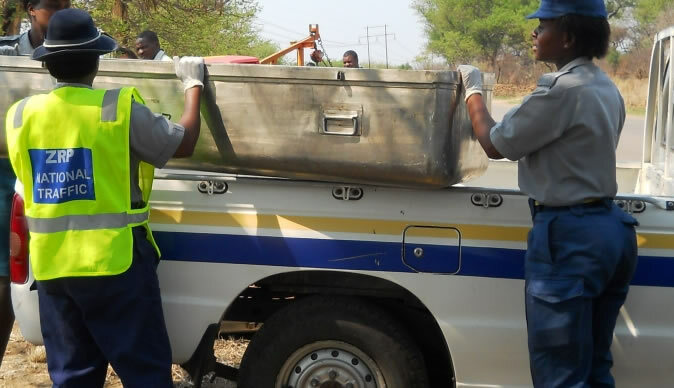 "The police officers came with a steel coffin but they left without carrying a body. So I do not know what happened," he said.